Want to make a printable calendar for school? Whether you are a student, teacher or someone involved in the studying process, you cannot overestimate the importance of a printable school calendar. If you want to make it through yet another term and manage your time wisely, a printable planner will help you to be way ahead of the game. With a proper school calendar you can organize your daily routine to cram for a test, attend a crucial student meeting or set aside some time for rehearsals with your music band. The only question left is how to create a school calendar to print? Check out this video tutorial to learn how to make a school planner in a few simple steps! 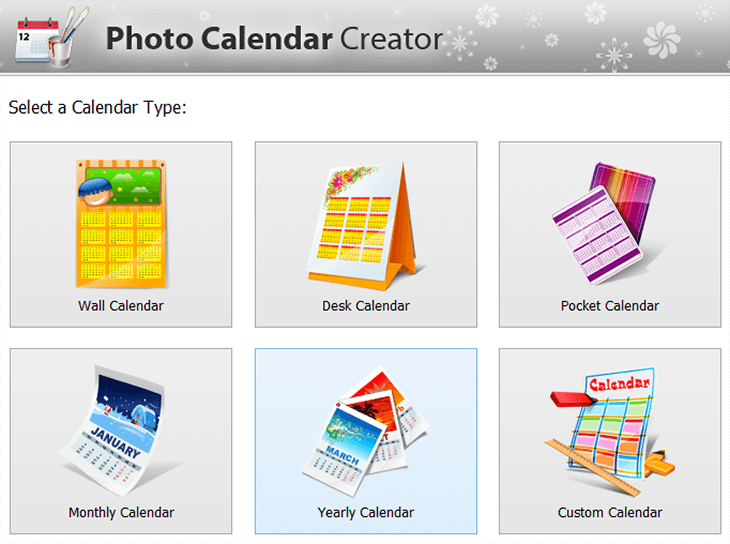 Photo Calendar Creator is easy-to-use software for making calendars of different kinds. This app will be a shoo-in for anyone who wants to create a glossy and functional design. If you are hesitant on where to start, check out this step-by-step guide and get your act together to craft a cool printable calendar. There are several types of calendars to choose from. You can make a wall, desk and pocket calendar for a whole year or a separate month, but the monthly type will be the most suited for a school planner as you will be able to mark all important events on its pages. Select either a horizontal or a vertical template and get started with its customization. It is merely impossible to create a school calendar without personalizing its month grid. The program offers you a wide collection of ready-made templates. 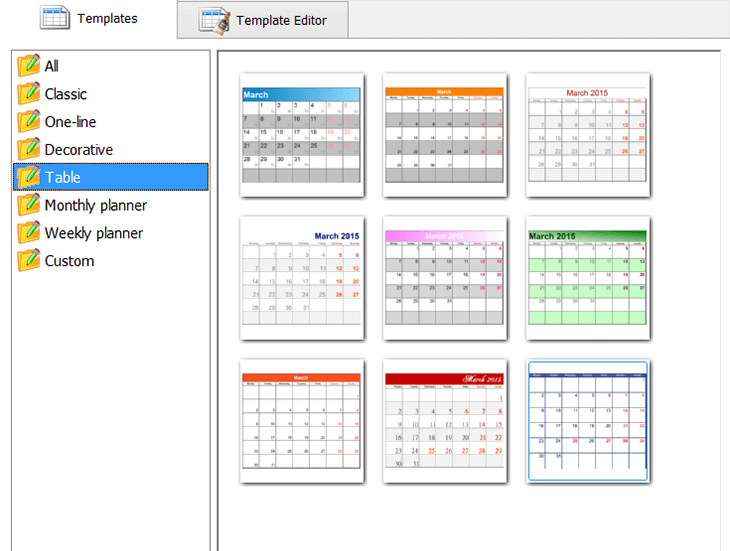 For example, table or planner templates will be perfect if you want to make a calendar for practical purposes. You are not limited to use the built-in tools, though, and can easily make your own grid design. After clicking on the Month Style button switch to the Template Editor tab and change the color or the font of the header, weekdays and weekends. To finish work on your school calendar you should insert bright and engaging pictures. That entails featured photos, the background images and cell icons. Double-click on the month grid to funk up its cells with some pictures. That way you can mark significant days and see them approaching. Typing in a legend also seems like a great idea for sharing your design with other people. This calendar making software enables you either to save your project as a JPEG, PNG and BMP image or to print it at home or at school. In all likelihood you will go for the latter option, so do not forget to set the paper format and the number of copies. Finally, hit the Print button to create a school calendar that will bring joy and order in your student life. After you have looked through this guide on how to create a school calendar, you can make the design that will adapt to your needs and interests. If you are a student, jazz up your term with a personalized schedule. 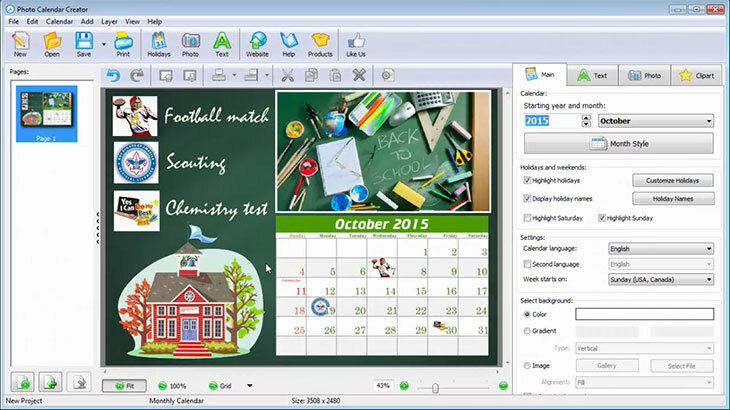 In case you are a teacher, integrate the calendar software into the studying process and give your students a chance to realize their creative potential in an original calendar collection. All in all, there are plenty of creative routes you can take using this printable calendar maker. Whether you are planning to make a promotional product, create a personal schedule with family photos or craft a personalized birthday calendar, a customized planner will work for any occasion. 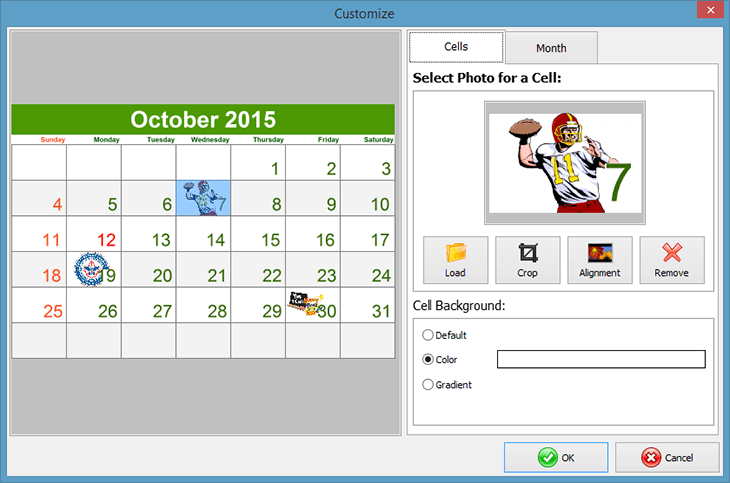 Get your copy of Photo Calendar Creator software and start making amazing themed calendars!